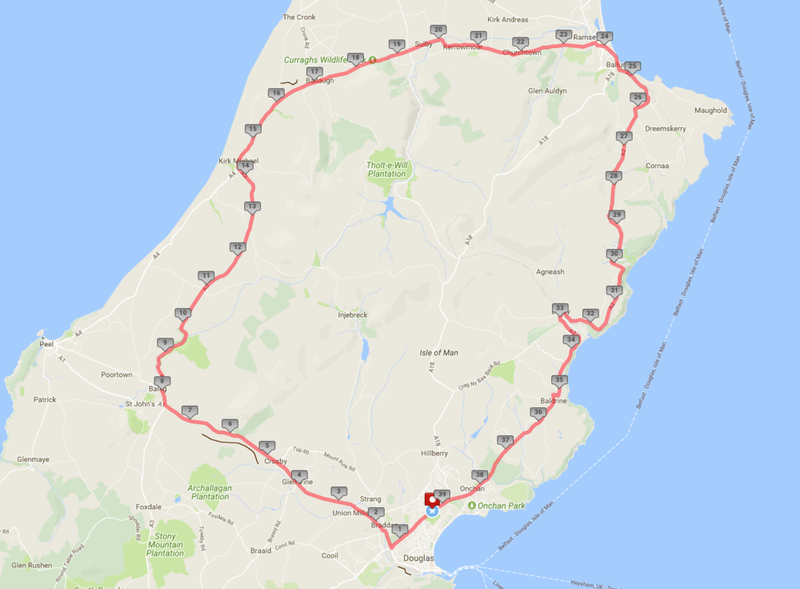 If the winds are still high or the mountain is foggy on Saturday making cycling up there too dangerous then we will put you on the coastal road from Ramsey via Laxey. It is slightly longer (39.25 miles) but with similar elevation and great sea views. We will only use the Laxey road if absolutely necessary and we are advised to do so by the IOM police. During the day our marshal in Ramsey will be directing you when you reach him – if the weather clears then he'll give you the go ahead for the mountain so keep an eye out for him! Here is more information about the Laxey route vs the Mountain route so you can prepare yourselves.